Lengths of L.E.D. Neon which glow bright red when illuminated have been attached to the 30ft tall free-standing billboardesque metal tower. 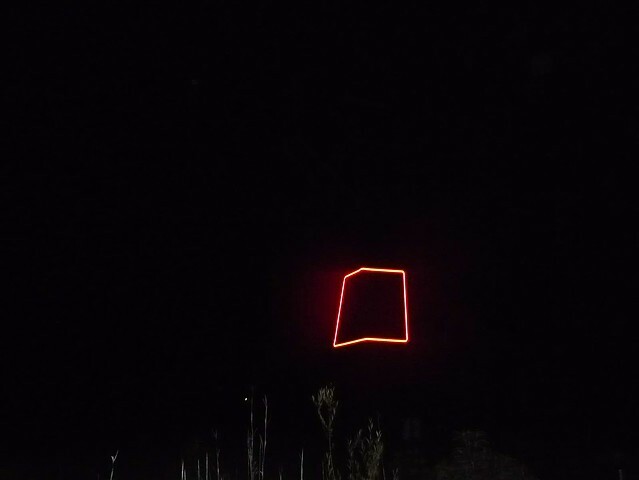 The strip lighting delineates sections of the metal structure revealing a randomized sequence of large autonomous geometric forms from within the skeletal architecture which appear to hang disembodied in the night sky high over the nearby highway.